Many people extoll the virtues of destinations like Greece, China, and Egypt, as it is in these places where one will find the finest artifacts of our species. However, some of us are more into the story of our Earth than our civilizations. If you find yourself in the latter camp, adding the coolest natural attractions in the world to your bucket list will provide you with a lifetime of memories that you’ll be telling your grandkids about one day. 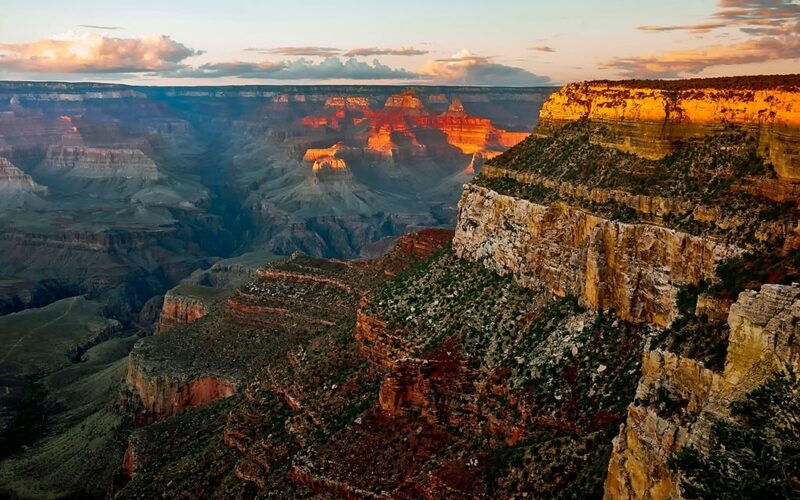 America is filled with plenty of natural wonders from sea to shining sea, but it is hard to dispute that the Grand Canyon is the most spectacular of the bunch. A chasm in the earth opened up by millions of years of erosion caused by the Colorado River, it is 277 miles long and extends for more than a mile down at its deepest point. While snapping amazing photos from the viewpoints at the top is the most adventure that most visitors get up to, you can go hiking and horseback riding into the canyon if you so choose. Additionally, there are many river excursions you can book that will take you down the Colorado River with the walls of the Grand Canyon being your constant companions along the way. The countries of Southeast Asia attract tens of millions of tourists in any given year, but most stick to mainland countries like Thailand and Vietnam. Far fewer make their way to the Philippines, an archipelago of 7,000 islands filled with unspoiled beaches, awe-inspiring volcanoes, and some of the friendliest people in the world. On top of these qualities, this nation is also home to some of the world’s biggest natural wonders. On the island of Palawan, you’ll find the Underground River and the limestone karsts of El Nido, each of which will astound you with their raw beauty. The former is situated just north of the idyllic beach village of Sabang – it is a subterranean river that is home to a number of mind-bending rock formations and endemic species that depend on this unique habitat. In short, it is a destination unlike anything else you’ll see in the world. At the northern tip of Palawan, you’ll find the formerly sleepy fishing town of El Nido. Famous for its jaw-dropping limestone karsts and sea stacks, you’ll bemoan the power cuts and horrific internet during your stay here, but its dreamy beaches and unbelievable photo ops will make up for these inconveniences. Patagonia is to South America what the Rockies are to North America, but in each part of the world, there are stand out highlights that you shouldn’t miss if possible. In the former destination, Torres Del Paine National Park is that spot. A protected area in Chile’s extreme south, it is home to some of the most exquisitely carved mountains that you will ever see in your life. The scenery is completed by mighty glaciers, hardy Magellanic forests, and flowing fields of windswept grass. The windchill can be a touch uncomfortable even in summer, but braving these gusts will allow you to scope out vistas that will burn themselves in your memory banks for as long as you live.